I have a news to share with you. This one is something I always wanted to do. Being an Indian origin living in Australia, I always wanted to work for an Indian stamp company. And today I have achieved that dream. 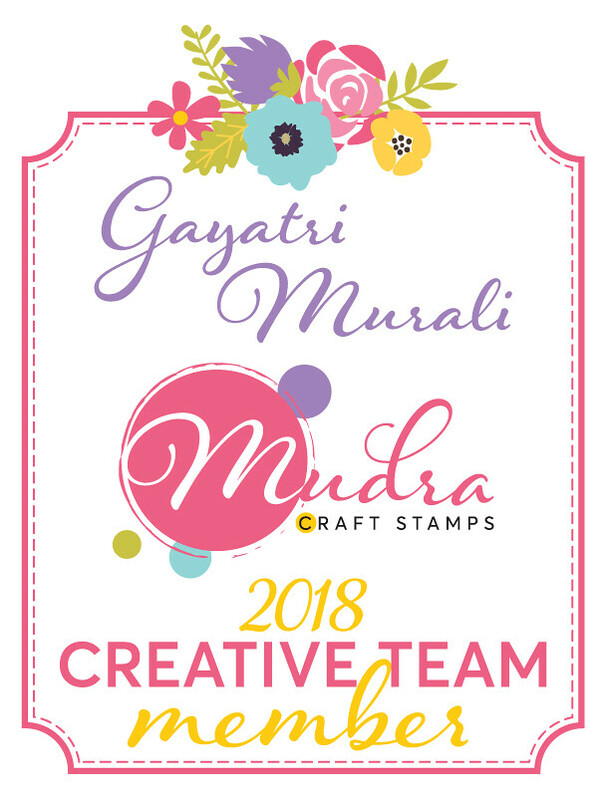 I am a creative team member of Mudra Craft Stamps. I am super thrilled to be part of their design team and cannot wait to share my projects using their beautiful designs. Here is a sneak peek of one of my first project using one of their beautiful stamp set called Simply Florals. Check out Mudra Craft Stamps Blog for more details of how I made this card and also another project. Hope you get inspired by this and I cannot wait to share more. Congratulations Gayatri. 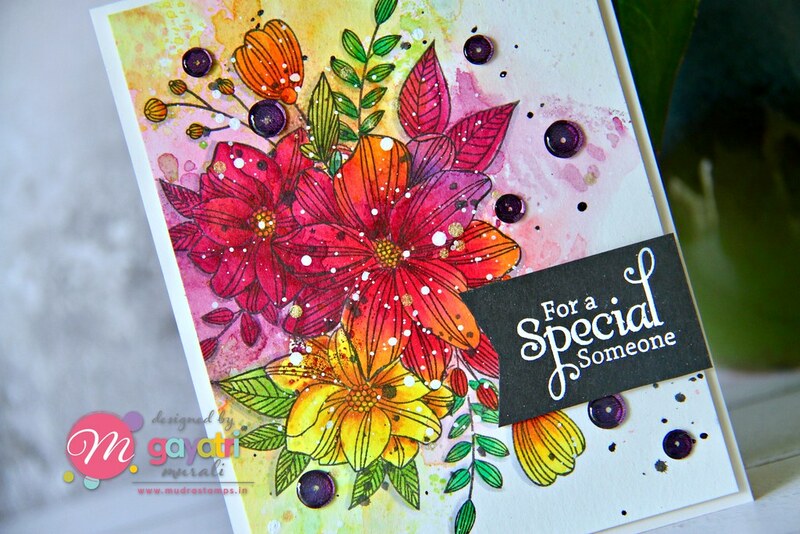 This is a beautifully stunning stamp set and your have done an awesome job showcasing it! Congratulations on achieving one of your dreams. Lucky us, we get to see the results. The stamp and how you made the card are just wonderful. Will we be able to buy them in USA? Congratulations. Always love your art and I know this means even more great ideas from you.